I am actually not someone who likes to wear neon colours, but I thought I should add some colour to my kit, as most of my eyeshadows are natural. 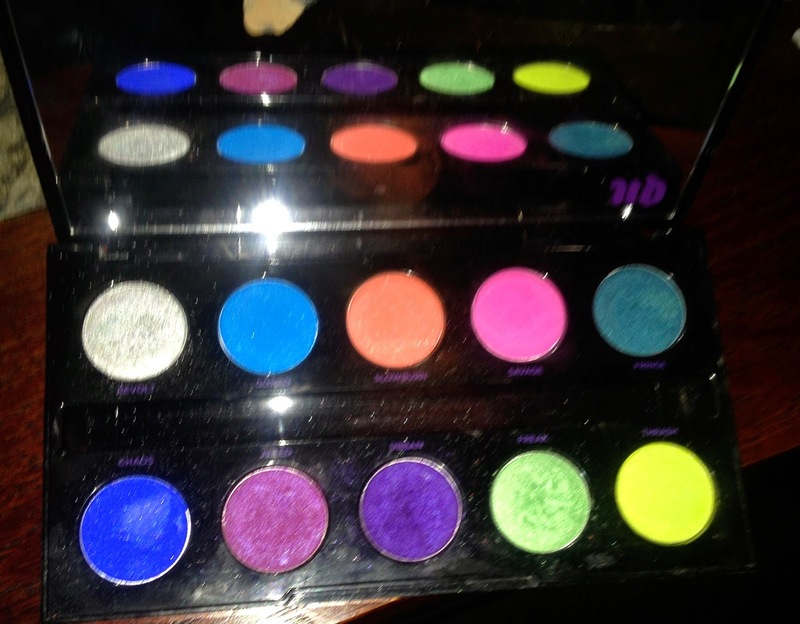 Every shade in this palette is super pigmented, soft but not powdery, and easy to both pack on and blend. Revolt is best applied as a glittery wash over other shadows or with the finger tip as an inner highlight. The blues and purples are super pretty and so, so wearable despite being the staples of this neon palette, and I find myself using the most. Urban Decay has issued a disclaimer that them pigments with the underlying red tones are not meant for use around the eye area. The packaging is very similar to the Naked Palette and the included brush is really good - it picks up the right amount of eyeshadow and is the perfect size for getting a more precise application. 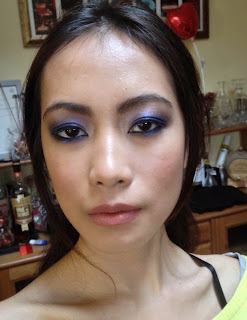 Here is a look I created on a client recently using the blues and the purples. 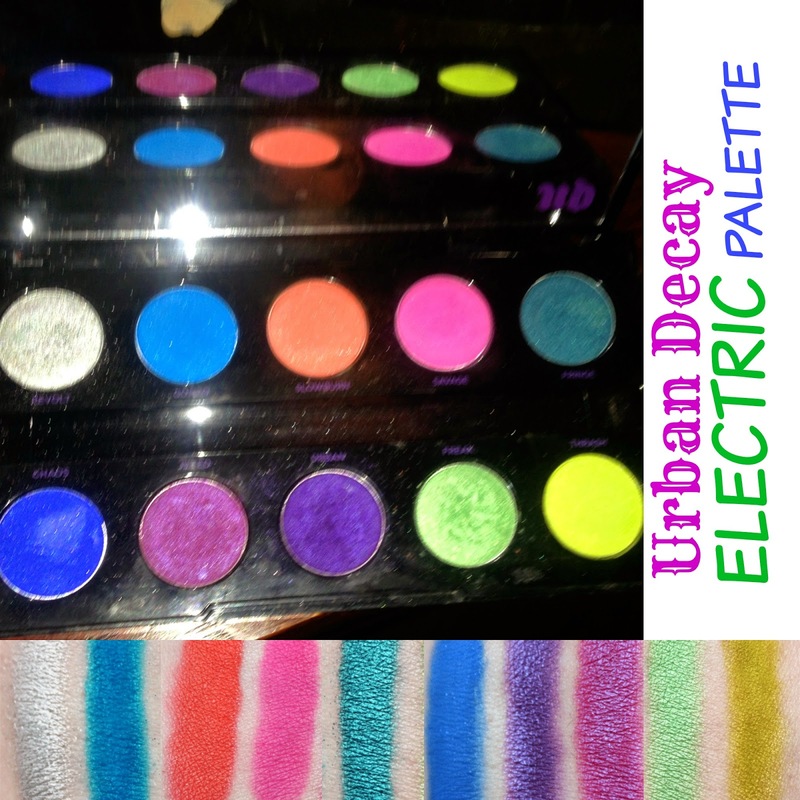 Although it is good palette to have in your kit, I am not crazy about it and don't use it that often, I prefer their Naked Palettes, however if you are more adventurous and like experiment with color you will love it! !